VATICAN CITY (CNS) — Pope Francis expressed his solidarity with the people of Taiwan after two high-magnitude earthquakes devastated the island nation, killing at least nine people and injuring hundreds more. The pope “offers the assurance of his prayers for those who have lost their lives and for those who have been injured,” read a telegram sent by the Vatican following the earthquakes Feb. 6 and 7. “As he encourages the civil authorities and emergency personnel engaged in the rescue efforts, His Holiness willingly invokes upon all the Taiwanese people the divine blessings of strength and peace,” said the telegram, signed by Cardinal Pietro Parolin, Vatican secretary of state. A magnitude 6.4 earthquake rocked the east coast of Taiwan late Feb. 6. 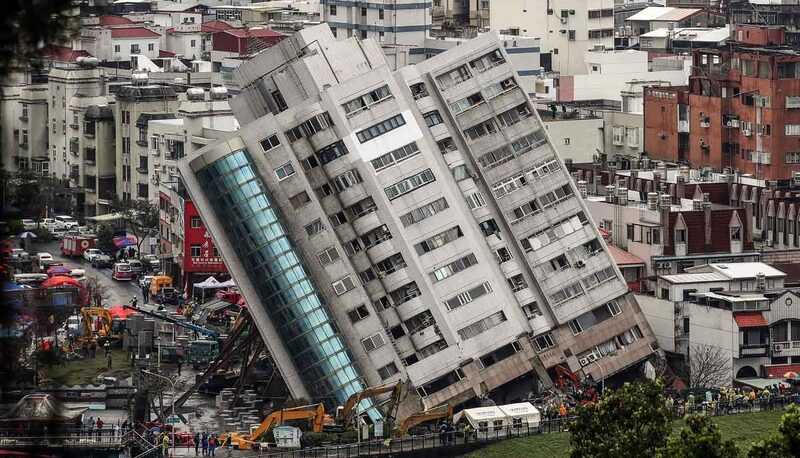 This initial earthquake caused immense destruction in Hualien, a coastal city, destroying smaller buildings and walls. It even left some skyscrapers and larger buildings leaning at sharp angles. But almost before anything could be done, a second earthquake slammed the region. The magnitude 5.7 quake was centered in roughly the same area. The Associated Press reported Feb. 8 that more than 260 people were injured and 10 people remained unaccounted for in Hualien County. In response to the tragedy, a high-ranking Japanese official announced that his country would dispatch a rescue team to aid in the search efforts for the remaining missing persons. Taiwan’s location along one of the many seismic faults that encircles the Pacific Ocean means the country frequently experiences earthquakes. The last major quake hit two years ago, causing the collapse of an apartment complex and resulting in the deaths of 115 people.